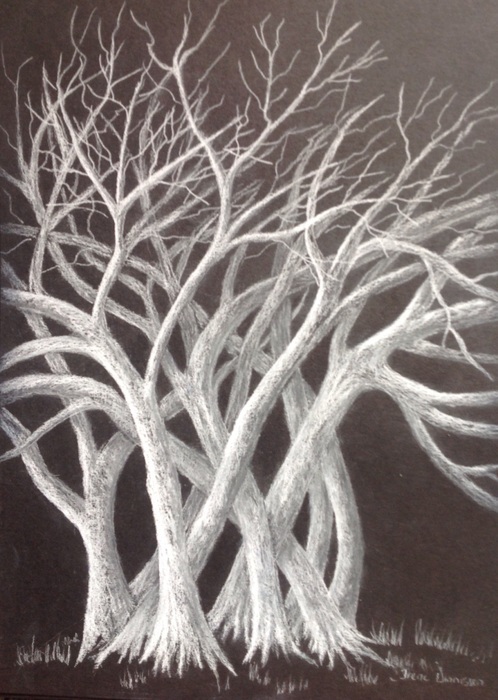 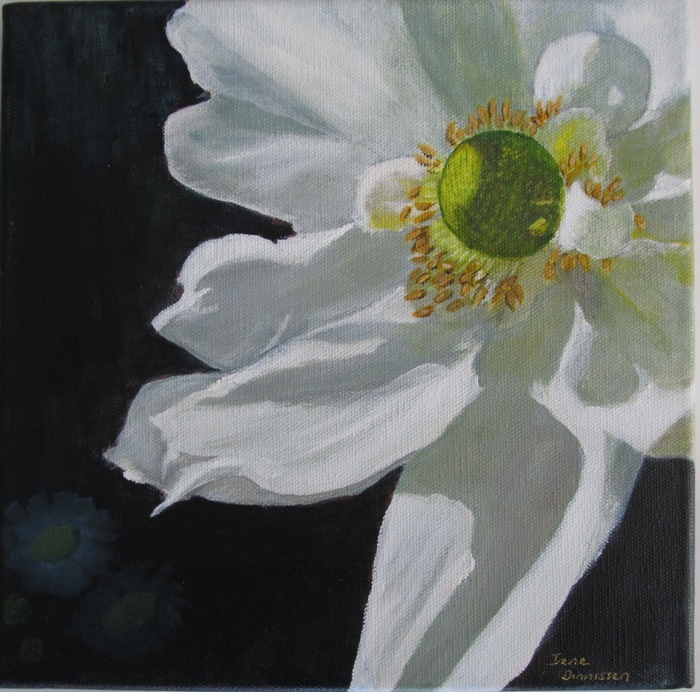 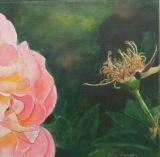 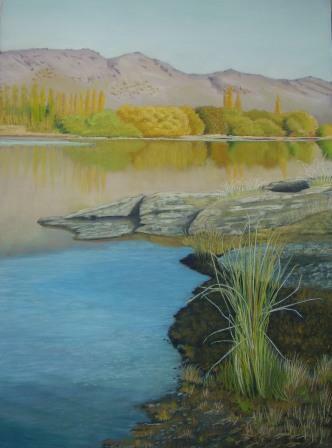 I am a self-taught artist living in Balclutha South Otago, South Island New Zealand. 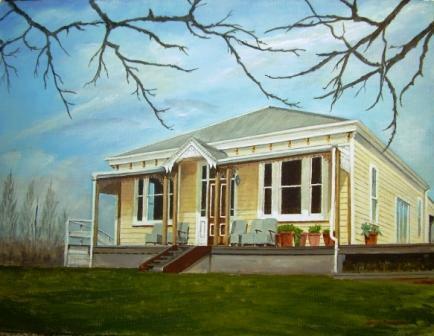 I have been successfully exhibiting locally in Dunedin and Southland since 1987. 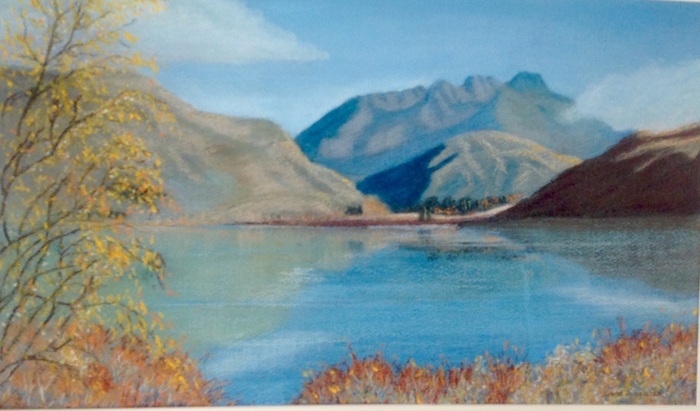 I feel very fortunate to have discovered that I have the ability to draw and paint, and have spent many happy hours in persuit of understanding the process, which continues to fascinate,delight and excite me. 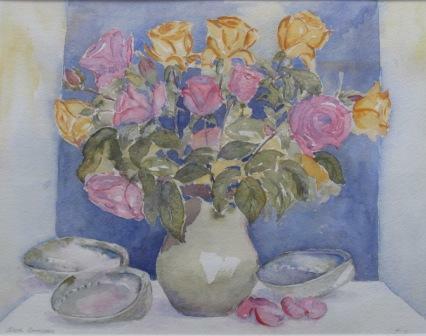 I like to challenge myself, therefore my subjects are many and varied and include landscapes, buildings, still-life, florals, birds and sometimes animals. 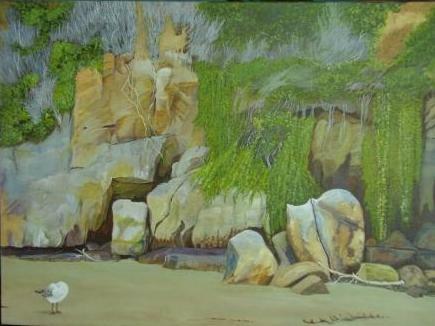 I have always lived in close proximity to the coast, seascapes are a particular favorite. 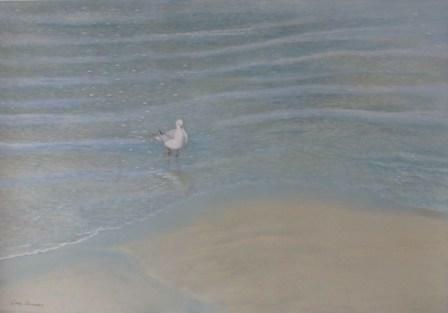 Media: Pastel, acrylic, oil ,pencil, charcoal and sometimes watercolour. 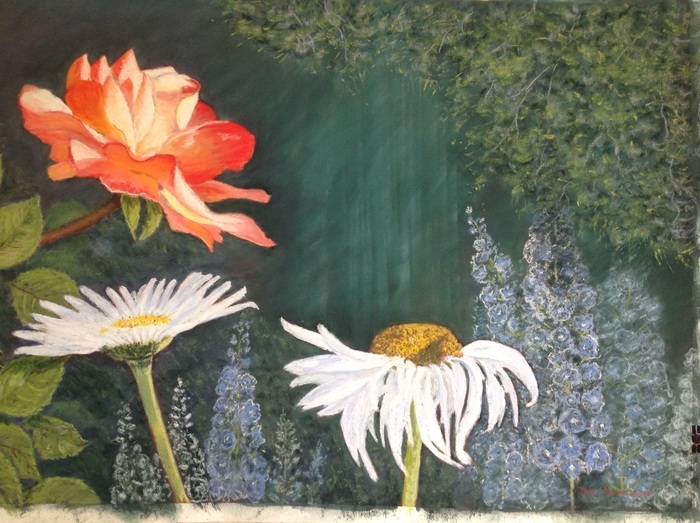 I paint, using my own photos as subject material, from my garden studio which incorporates a small gallery where my paintings can be viewed and is open by appointment. 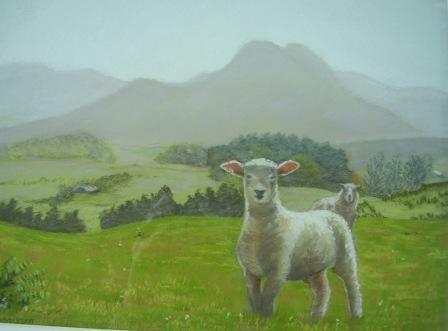 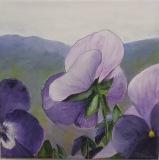 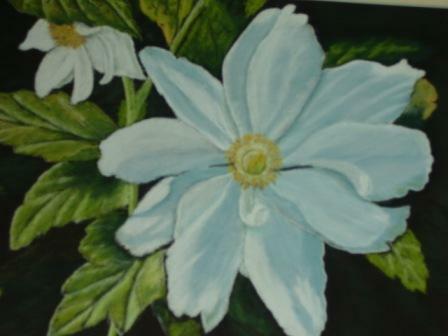 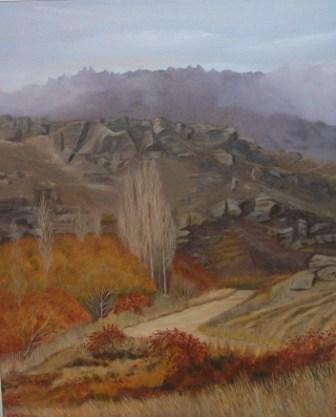 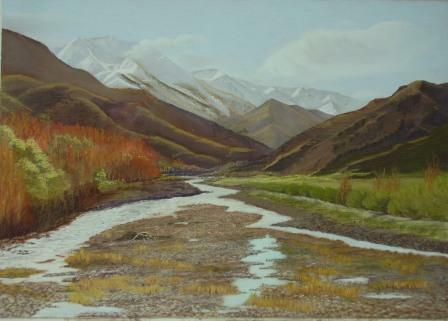 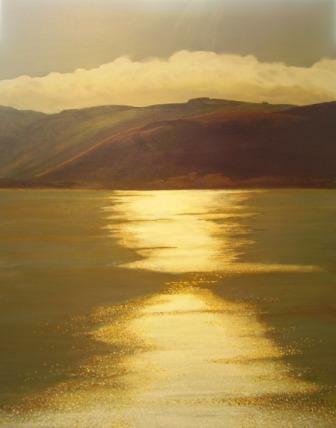 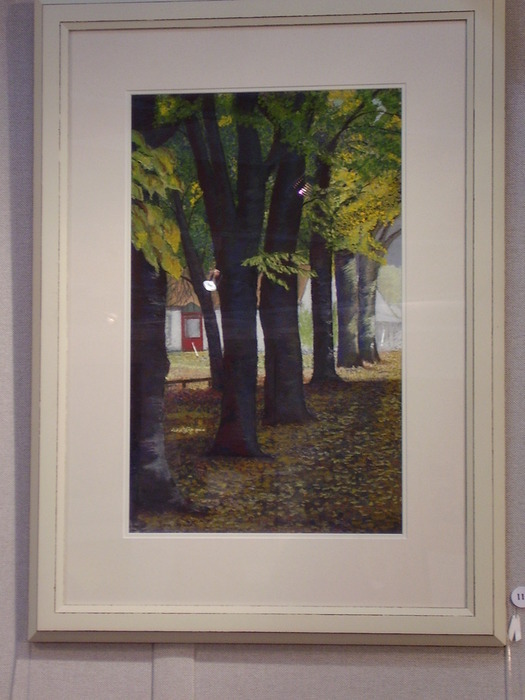 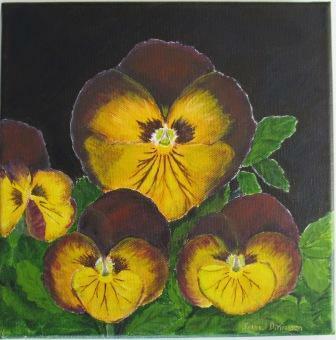 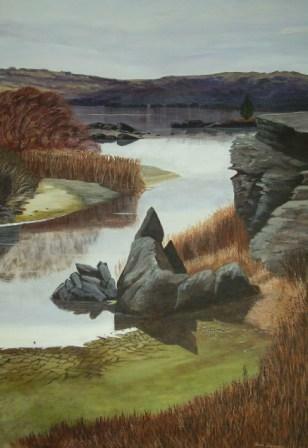 I have paintings in many private collections in New Zealand and abroad, and have been the recipient of several awards. 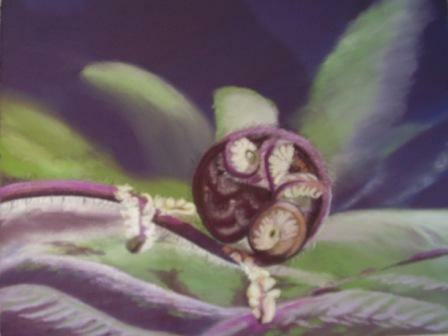 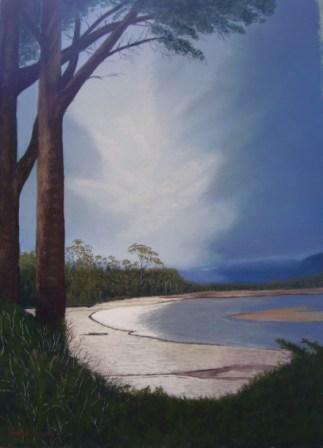 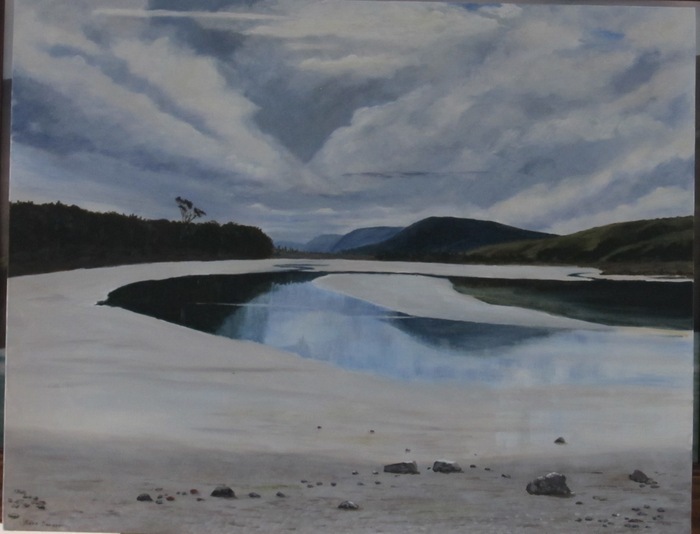 I am a realist painter totally inspired by the varied natural enviroment of New Zealand, in my paintings I strive to capture the true colours of our amazing country, and to relate to the viewer the inspiration that made want to paint. 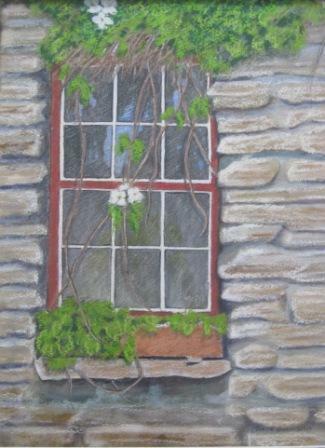 I enjoy recreating the detail seen on some buildings This is an acrylic painting of a window in an old disused drapery shop I was very taken with the old drapes and the rotting timbers.It is painted on a stretched canvas. 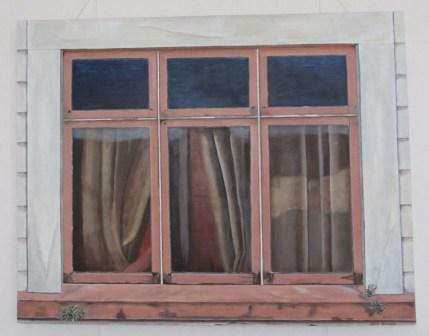 I was commissioned to paint this old building before it was demolished. 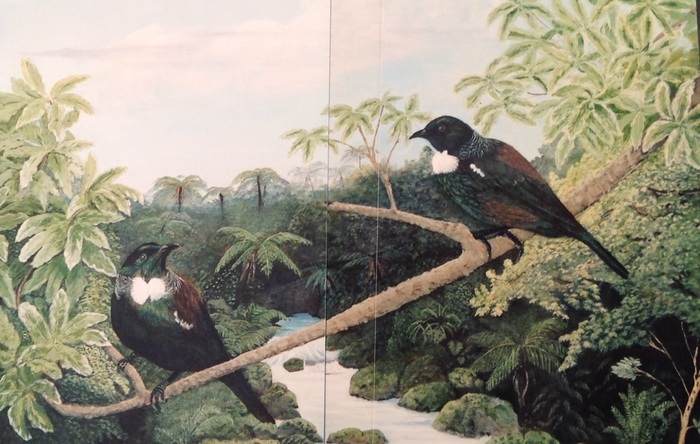 I was commissioned to paint some Tui's, the number and setting was left to my discretion and this is the end result. 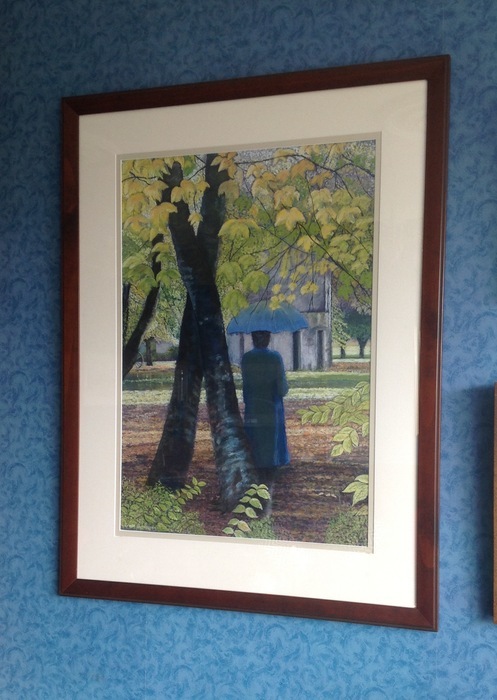 A painting in soft pastel, the lady is waiting, why or for whom is left for the viewer to imagine. 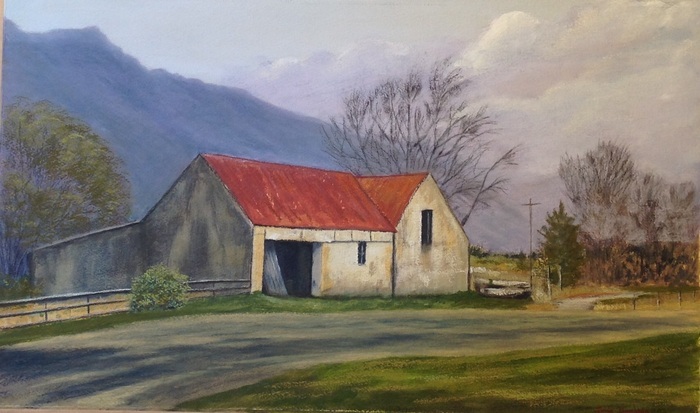 An acrylic painting of the remains of the Port Molynuex Hall, the roof has just recently callopsed and will probably totally disappear just as the rest of the settlement did.